In theory, I have undergone all of the physical examinations, evaluations, pokings, and proddings that are part and parcel of transitioning from Active Duty to becoming a veteran. After over a dozen trips to various clinics and hospitals at the end of my time in uniform and during my first year or so of post-military life I have been informed that all of my examinations are complete. To make sure that they were all indeed finished, I logged into the VA website regularly to see if my status had changed. To my utter lack of surprise, it didn’t. Growing tired of logging in and viewing at an unchanging screen on the VA’s eBenefits webpage, I looked forlornly at the telephone on my desk and resigned myself to another early morning attempt to get through to the VA. So, early the next morning, I grabbed a cup of coffee and staggered into my office. I punched in the VA’s telephone number, and much to my surprise (not really) found that even though it was a couple of hours before the rooster would crow (on the West coast, at least), all operators were busy. I was, however, offered the option of having a VA representative call me back the following week at a time that would be convenient for me. I figured that the following Monday at about 0900 was convenient enough, so I hung up and waited for the weekend to pass. It did, and sure enough my phone rang at about 0905, with a live human being on the other end! Very exciting indeed. After providing my social security number and other identifying information, the nice lady on the other end asked how she could help me. Although deep down I didn’t think that there was much help to be had, I asked anyway. Which is exactly where it has been for nearly nine months. We talked for a few minutes, and then I hung up. In order to spare you from the rather boring conversation, I’ll just cover what she had to say. 1. All of my examinations are complete. That said, if they find something that they need to look into I will again be headed off to the examination clinic. 2. My results are somewhere between the clinic and my case file. Even though it has been nearly two months since my last exams, the results have not made it to my case team. Not surprising, but still disappointing. 3. Once my team receives my results, they will merge them with my file and put it in the queue. When my file comes to the top of the pile they will evaluate it and let me know the result. How long will that take, I asked? Sigh. Good thing I’m not in a rush. The call I was waiting for from the VA. Really! It finally happened! The VA called and scheduled my final disability evaluation appointment. Hooray! For those who are wondering why this is a big deal, here is a quick backstory. My veteran’s disability claim has been turgidly moving through the system for nearly a year and a half, and during that time I also entered the VA medical system. As I learned, the VA has two distinct and different sides when it comes to disability claims and healthcare, and they do not talk. This became a problem for me because I did not understand that important fact. My disability claim was partially settled six months ago, and with the notification letter came the promise of a call to finish the process. Soon after, I was contacted by the VA on numerous occasions to schedule and attend various appointments at the local clinic. Foolishly, I thought that the clinic and the disability claim evaluation were one and the same. As I said earlier, they aren’t. As it happens all of the calls from the VA clinic were for the medical side and were unrelated to the disability claims side, and none of the appointments had anything do to with my claim. Good news for my medical coverage, but still a lot of frustration on my disability claim. So, months of frustration, I called the VA. After a few weeks of phone tag, my case was reviewed and I was again promised that I would be receiving a call to schedule my follow up appointment. I was not optimistic. My pessimism was abated when they called. Actually, they contacted me by mail. I received a letter that explained that I needed to be seen by the VA’s contract provider for a few things that were not completely documented by my initial visit, and with the letter came a questionnaire regarding the issues in question. I filled out the questionnaire, and within a day or two I received a call from the provider’s office to schedule an appointment. Yesterday I went to the contract provider that takes care of the claims side of the VA house. It was the same provider that I had seen a year earlier, and to their credit they were very efficient and polite. I was in and out of their office in less than 45 minutes, which was a pleasant surprise as I had anticipated spending the afternoon in the waiting room. With that appointment I had, in theory, finished up my claims process. I hope it is done. According to the VA representative that I had spoken with earlier the only items remaining in my case were the evaluation from the contract provider and a few administrative corrections in my file. The evaluation is done. Now I just have to wait for the administrators to correct my file and then my disability claim should be completed. I’ve heard that story before. We’ll see…and I’ll keep you posted! – The Medical side of the VA is completely separate from the Disability claims side of the VA. In my case, the clue to the difference was that all of the medical issues were addressed by my local clinic while all of my disability evaluations were performed by a contracted provider. – Be proactive. Call the VA and determine your status. I think it helped, as my case was languishing for months until I made some inquiries. – As always, be patient! The purpose of a job interview is to determine whether or not you are suitable to join a company’s team. How the interviewer figures that out, however, can be unusual, uncomfortable, and sometimes downright odd. It can also be illegal. You need to be prepared for when the interview goes in an unexpected direction. You expect to be asked about your experience, skills, education, and training during a job interview. You may not be expecting some of the tools that companies use in their hiring process to find the best candidates for the job, though. Some companies will ask you to take a personality test (to see what you are really like), submit a handwriting sample (to be analyzed by handwriting experts), have your picture taken (so that others who are involved in the hiring process can see what you look like), or something equally strange. These questions and tests are perfectly legal, even if they seem a bit unusual. What about questions that are not legal? Professional interviewers are well aware of which questions are permitted and which are not. Not all interviews are conducted by professional hiring managers, though. Many are conducted by small business owners, retail store managers, restaurant chefs, or anyone in business who needs to staff a position in their organization. These interviewers may ask a question that they shouldn’t without realizing it, but even though they don’t know the law they are still required to follow it. There is another possibility, too. The person conducting the interview may be asking you questions that they know are illegal but they ask them anyway. Regardless of the circumstance, when one of these questions is laid on the table it is up to you to figure out what to do about it. You have about a millisecond to decide whether you will answer it or not. How much do you want the job? That it what it all boils down to in the end. If you stonewall, refuse to answer, or debate the legality of the question with the interviewer the probability of you landing the job will rapidly approach zero. However, if you feel that the interviewer is crossing the line intentionally, then perhaps the company is not really a place where you would like to work anyway. You have to ask yourself the simple question: “Is answering that question worth getting a job with this company?” If you answer yes, then do as you are asked. If not, then don’t. It is a simple as that. The downside is that you are certainly guaranteeing that you won’t get the job. Do you have to answer an illegal question or fulfill an odd request? Nope. You can say no. And probably not get the job. It is up for you to decide. – Not everyone conducting an interview is a professional. They may ask questions that they shouldn’t out of ignorance. – There are illegal questions, unusual questions, and uncomfortable questions. Regardless of where those questions lie on the spectrum, it is up to you as to whether or not to answer them. – There are some questions that pertain specifically to serving military and veterans. Your military and VA benefits are personal in nature, as is any pension of disability payment that you receive. Disclosing any of that information is up to you, should any such questions come up. – It all boils down to how much you want to work at the company. Questions may be asked innocuously, and making a big deal out of it will likely cost you a job offer. Final Physical exam finally finished! I left you, my constant reader, pensively hanging after my last post about my Veterans Administration physical. How did everything turn out, you wonder? Well, I am still wondering how it all turns out too. The VA has become a very busy governmental agency during the last few years. The wars in Iraq and Afghanistan have spurred the dynamic growth of all of the armed services, and now as combat in Iraq has ended and Afghanistan winds down there are many thousands and thousands of new veterans leaving the service. The burgeoning numbers are compounded by the government’s budget deficit and military belt tightening as the growth that the Army, Navy, Air Force, Coast Guard, and Marines experienced in the latter part of the last decade retrenches and the population of the armed forces shrinks back to pre-war levels or lower. Add all of us new veterans to those from World War II, Korea, Vietnam, Desert Storm and the Cold War and pretty soon you have a pretty huge population of veterans for the VA to oversee. At any rate, the meteoric rise in the VA population has slowed some things down, and one of those things is the completion of the disability rating evaluation. The disability evaluation is performed by the VA to document and, if required, compensate veterans for physical or mental conditions that were caused or aggravated by their military service. The process is a pretty fair one but it requires the veteran to put some effort into ensuring that all of the documentation is in their record and that they attend all of the required appointments. In my case, I initiated the process right after I checked out of the Marine Corps and started my terminal leave. 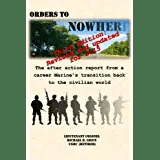 On that day I turned in all of my required files (including my original medical and dental records) and received my orders back to civilian life as well as two versions of my DD-214, known as “Member 1” and “Member 4”. With these documents in my hands I then went to the Veterans Affairs office on base and made a walk-in appointment to see what to do next. After waiting about a half hour to see a counselor, I went in and professed my utter ignorance of what to do and laid myself before the mercy of the VA. Fortunately, the lady who took my case had seen plenty of knuckleheads like me before and she professionally ran me through the requirements. I handed it over. Well, actually I handed her a copy. The original is probably the most important document you will receive during your transition because it is the only universally recognized form of proof that you served in the military, and it is your ticket to the dance that is the VA. As an aside, when you check out make sure to ask for a half dozen or so “Certified True Copies” of your form because some agencies will not accept a FAX or photocopy. The admin shop will make copies and stamp them as certified, which will come in handy later. Trust me. I patted the thick folder on my lap. I explained that my record had been evaluated by the Disabled American Veterans counselors during my Transition Assistance Class, and I showed her the form that they filled out. I told her that my last day was New Year’s Eve, and she paused. In a speech that she had obviously given hundreds of times before she explained how the timeline for VA claims works. It is important to file at the right time, she said, because depending on when a vet files has a tremendous impact on how quickly the case will be evaluated. Based on your EAS if you file too early, your package gets sent off to a regional evaluation center and it may take up to a year to get evaluated. In my case, since I was three months from my EAS I fell into the “too early” category. If you file too late your package gets sent off to the same place and it will likely take a year. Too late is defined as after your EAS. She explained that if you submit your claim 60 days or less before your EAS then your case will be evaluated by the local VA office, and that the turnaround rate is about four months. She smiled at me across the desk and sweetly inquired if I would like to submit my claim today or if I would like to submit it in a month or so…. A month later I was sitting across the same desk from the same nice lady. Since I was now in the “sweet spot” of claim submission I presented her with all of my information and got started. 1.) Photocopy of my medical and dental record. These accompany your claim during the evaluation, and you will eventually get these back. 2.) Copy of the pre-screening checklist that was performed at the Transition Assistance Class. 3.) Copy of your DD-214. Not just any copy, mind you, but the “Member 4” copy. Why do I know this? Because I submitted the wrong one, of course, and had to resubmit the correct one a month later (which slowed down my claim). With the thick packet in front of her she began making some phone calls. Although I had completed my military physicals I now had to have my VA evaluations completed. After ten minutes or so of coordinating dates and times, she handed me three appointment reminders for the three evaluations that I would need to complete in order for my case to be adjudicated. These three appointments were totally on me. I was required not just to show up, but to complete the pre-appointment paperwork, which was basically a questionnaire that asked about each and every item that I had identified as a malady or injury that was incurred during my service. Things like a dislocated shoulder (When did it happen? How?) to a broken ankle (what treatment did you receive? Any surgery?). The paperwork was a little daunting, but without it your claim will not see the light of day. Anyhow, I made it through all three appointments, and by the time my EAS came and went my claim was wending itself through the local VA office. It has been about four months now, and I have been eager to see what the result will be…. …and yesterday I got a letter in the mail from the VA. Wow, I thought, she was right! Less than four months and I got my results. Sweet! Smugly I opened the letter. Not so smugly I read what it said. “Dear Michael,” it read, “we are sorry to inform you that your case is still under review….” D’oh. It looks like I still have a month to go, but that’s OK. The good thing about being retired is that time is not necessarily one of my problems. I can wait. 1.) Talk to a VA counselor as soon as you can. Make an appointment while you are still on active duty if you can, because even if they can’t help you until you go on terminal leave they can explain the processes and procedures that you will need to follow to obtain evaluations and benefits. 2.) Schedule a meeting immediately after going on terminal leave. You can officially start your evaluations and benefits requests when you have your DD-214 and final orders. It really behooves you to start as early as you can because the VA is a bit overwhelmed with the huge number of new veterans applying for benefits. If you wait all you do is compound the problem. It is a first in, first out system that is irrespective of military rank or position. Don’t think that your uniformed high ranking muckety-muck status means anything to the VA because it doesn’t. 3.) Get as many “certified true copies” of your DD-214 as possible. I have had to give out several so far, and it is easy to get them when you check out. Much less easy later, trust me. 4.) Make sure to provide the correct documentation to the VA. It cost me a month because I submitted a “Member 1” vice a “Member 4” DD-214 with my claim. What’s the difference? As far as I can tell there is one additional block of information on the “Member 4” version. Apparently it is a pretty important block! Transition is a nice word. It is a genteel euphemism that we in the military use to describe the transformation from uniformed defender of freedom and the American Way of Life back to the population we all came from. It makes you feel a little warm inside because it is such a nice word; great feelings about what lies ahead, but also feelings that belie just how nice parts of the transition really aren’t. There are a lot of elegant synonyms for transition; words like passage, conversion, and adjustment come to mind. Not bad! You can read these little bits of cheerful lexicography and your blood pressure stays nice and low. “I am transitioning. How nice. It’s a happy passage from my days in uniform to the rest of my life as a civilian. The conversion should be a gentle one because of all the programs and whatnot that are out there to help me along. I used to be a civilian, so the adjustment shouldn’t be too bad! La de da de da…” These happy terms are usually accompanied by images of palm trees swaying overhead as you lounge on a nice sandy beach with a mai-tai in one hand and big fat cigar in the other. Other synonyms are not so nice. Upheaval. Distortion. Revolution. “Ahhhhhhhhh! What am I gonna do? What can I do for a living? I have no idea what to do for the rest of my life! Aaaarrrrgh!” Not so good for your blood pressure. Visions of a future sitting at highway offramps with a cardboard sign offering to work for food compete with a strong desire to see how fast you can make it all the way to the bottom of a bottle of brown liqour go dancing around your head as you reach for the antacids and Alka-Seltzer. The truth of the matter is that the transitional process is often only looked at from one perspective- the perspective of “getting out” and neglecting “what’s next”. We all tend to focus on our End of Active Service day- our EAS- because that is when our career carriages turn into pumpkins. Woe to those of us who don’t get everything done before midnight….but all too often Marines (and Sailors and Airmen and Soldiers) don’t pay close enough attention to the morning after their last night in uniform. What are you going to do next? All of a sudden everything on the list is checked off and you have nobody telling you where to go, what to do, and what to wear as you do it. It is just you, alone with your thoughts and probably a splitting headache. There is nothing wrong with sitting around in your underwear for a week or so burning through bags of Cheetos and cases of beer, but that isn’t much of a plan for the rest of your life. What often occurs is just that- the giddy feeling of hanging it up wears off pretty quickly and is replaced with a burgeoning feeling of dread at the uncertainty that lies ahead, not to mention an epic case of indigestion from all of the junk food and cheap beer that turned out not to be as rewarding as you thought. Just like a hangover, the after effects are often not quite what you expected, and then it is too late to go back in time and perform those actions that needed to be done months before. Without a plan things can go horribly awry- just ask anyone who thought that dropping out of high school would lead to a great upper middle-class way of life these days. You make your own luck a great man once told me, and sometimes we all need to be told what we need to do even though we don’t want to hear it. As a commanding officer I made a point of sitting down with each and every Marine and Sailor that left my command. Many were moving on to new duty stations, but many were also getting out. The conversation invariably turned to what they planned to do with their lives, and the answers were sometimes surprising. “Go back to school, sir.” This is the answer I got about 80% of the time. The first answer led to a great discussion of life after the Marine Corps- the benefits available with the Post 9/11 GI Bill are quite frankly spectacular. These Marines and Sailors were well on the way to a successful life on civvie street because they had made a plan and were ready to make it happen. As for the second answer, well, that led to a completely different dialog, which focused on not ending up like the guy with the cardboard sign. Some were receptive, some just looked at me with the hollow stare as they inwardly prayed that the bad man (me!) would just stop talking…..but I wouldn’t. After torturing them for a while, I would wheedle a commitment out of them to do something, anything, but to have a plan. I think it worked. I still get emails and facebook hits from a lot of them. It is very gratifying to hear that a Marine with whom I had such a conversation was now well on his way to graduating from college, and believe it or not I actually run into them from time to time. Most memorably was a young corporal who got out years ago, and long after he hung up his uniform our paths crossed at Disneyland. He was there with his young family, and was happy to report that he had completed an apprenticeship as and now had a great life as a locomotive mechanic for the railroad. I also receive appeals for help from those who didn’t have a plan or who found life on the other side of the fence a lot different than they remembered it. Where some may turn that into an “I told you so” moment, that isn’t helpful. I do what every Marine that I ever asked for advice did for me- I see how I can help. That’s what Marines do, and you know what? It is just as gratifying because you know that some day down the road the person you help today will send you an email or drop you a note to let you know how things turned out. And odds are that they will turn out just fine.